This is such an inspiring post! It touched my heart and your thoughts on Job was exactly what I needed to read today! I finally emailed you last night (kinda late EST) about chapters 1 through 4. Hope you're having a good week so far! I love you so so much. I needed this so much today and I'm so thankful for your influence on my life. I'm ready to study Job! This hits home with me, Jamie. 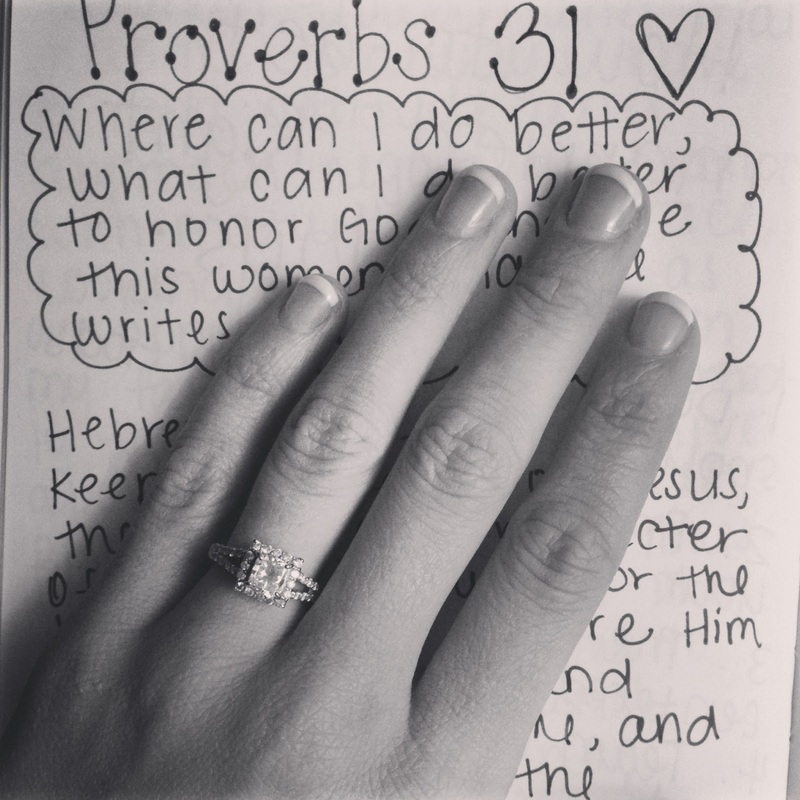 To guard my heart in my current relationship and to prepare myself to be a wife someday. It's such a great reminder even though I know I still have a ways to go! I am excited to see how God grows you these next few months!! What a beautiful reminder! God is so good to direct us to the book that He wants us to study. And I love the thought about Proverbs 31 written by the man's mother. I've never heard that before! God bless!